Alred looked up. Lili’s voice came down on him from above, as befitted an angel’s greeting. He had been telling himself that he did not want to see her this morning. Nevertheless he had been disappointed to find that she was not in the hall. He had only just managed to convince himself that it was all for the best when she appeared on the gallery, and then he had to admit that he was dying to see her. “Don’t come down for my sake!” he said. Of course she would. But he had done his duty and protested. He had tried to keep her away. “But why are you sitting here all alone?” she scolded when she had come down. He tried to help her sit on the couch, but she slipped away, and he had to settle for helping her to sit on the chair. “He didn’t tell me about a wedding,” she murmured, suddenly subdued. Alred watched as her smile and all the gaiety of her face quivered, and shrank, and slowly collapsed, like a scrap of bark in a low fire. “Yes?” He began to have what Gunnilda would have called a “bad feeling” at the sound of her voice. Alred cringed. “Did I tell you that?” he laughed awkwardly. No, Alred thought, he had married her out of lust. Nevertheless it had not been gentlemanly of him. He remembered the occasion. 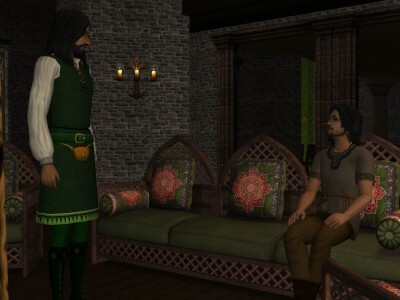 He had been drinking, but what had driven him to do it was his frustration that Lili had generally seemed to prefer trying to elicit more than a grunt out of Egelric to Alred’s own brilliant conversation. It had, in fact, been a treacherous and craven act, and it so shamed him that he had nearly wiped it from his mind. “But I thought she was married?” she asked. Alred’s first, treacherous thought was that he should have told her then. By all appearances it might have affected the choices she had made. If nothing else, it seemed to come as a shock to her now, and she was in no condition to be shocked. “But I believe he does like you very much,” Alred said weakly. “I always knew he was a good man,” she said. “Very good. But I was so vain and selfish that I never asked myself whether he was not too good for me. I only hope he can forgive me. I hope he will remember that I was only a girl, and frightened, and – ” She stopped and took a few sharp breaths, as if trying not to cry. Alred’s own bitterness shrank away and collapsed in the face of her distress. All that mattered was that Lili not be hurt. He would tell her that Egelric thought that he was the one at fault and hoped she would forgive him, and that he constantly fretted that she was too good for him. 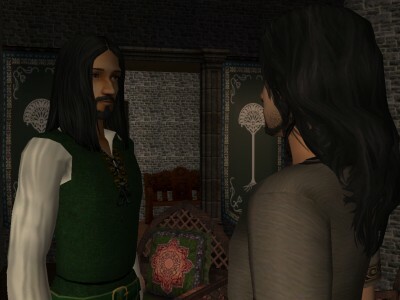 He would even tell her that Egelric was wise enough to wish for everyone’s happiness rather than brooding over a chance at happiness that he had lost, and that he would come to forget Gunnilda over time. This, even though Alred was not certain it was true. This, even though Alred did not know whether such a thing was possible. He began to speak, but he only spoke as far as her name, because Lili planted her hands on the arms of her chair and pushed herself to her feet. In the moment before he remembered that he too should stand, she stood before him with her belly at the level of his eyes. All the bitterness came shuddering over him again. Here was the proof that, whatever Egelric felt for Gunnilda, his lust was alive and well. She gave him her hand to kiss, but her eyes would not meet his when he looked to her afterwards. After the door had closed behind her, he sat again, exhausted. He always felt worse after seeing Lili. If their conversation went poorly, as this had, he felt worse because of the wasted opportunity. If their conversation was pleasant, he felt worse because he knew it was all he would ever have of her. He hadn’t long to brood. Egelric smiled. “What nonsense! She’s always afraid of being a bother. I shall only be a moment.” He turned again and started for the stairs. He went away, chuckling to himself, and this time Alred let him go. 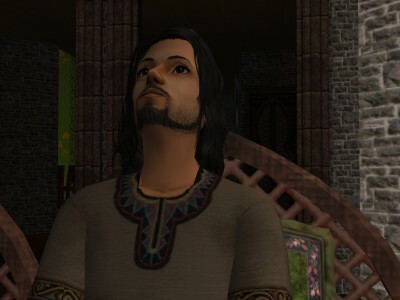 Short of telling him that Luitgarde did not wish to see him, he did not know how to stop him. Still, if he could be certain that she would not tell Egelric the truth later, he thought he might have said it. If he could not be happy with Lili, he could not bear to see another man happy with her. 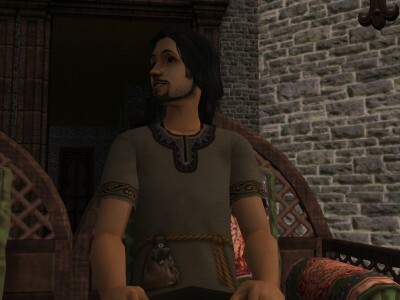 If it was true that Egelric would wish Gunnilda happiness this afternoon and mean it, then truly Egelric was a better man than he. And yet it seemed to him that he had once been a better man. This stunted love was growing into something unlovely, or perhaps it was rather that something that had once been fine in him was withering away. Perhaps it was simply his honor, he thought, that was trembling, shrinking, and slowly collapsing, like a bit of bark in jealousy’s low fire. He's right. He had once been a better man. Maybe he'll finally start to see it for himself. Oh please fix Alred! You said if there had been enough popular demand you might have saved Matilda, but I love Alred and there is popular demand for his happiness and continuation, me and my mothers popular demand . I liked the happy laughing Alred, he's so mean now, please fix him! My popular demand too! 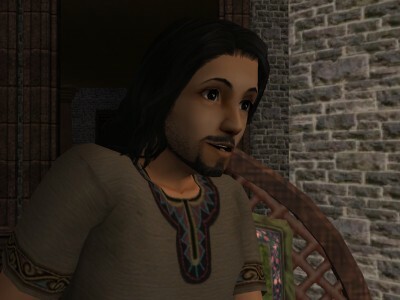 Every story must have some comic relief, and Alred is usually the Sim to provide that. I agree with Alred and everyone else. this bitterness is eating away at him slowly but surely. I miss the man he was. 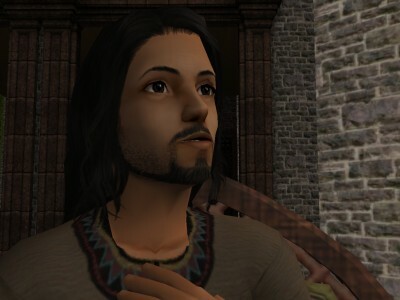 I understand that life changes you (especially with the death of your spouse, a child that wasn't yours, and losing another potential love) but Alred wasn't meant to be a bitter man. I hope this is not permanent, like with Sigefrith's drinking problem. 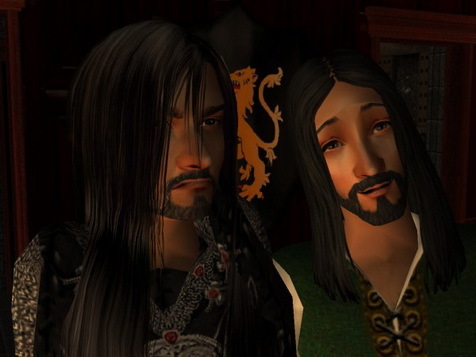 It seems to me that Egelric and Alred have changed places. Egelric for so long was angry and depressed and now he seems happy with Lilli. 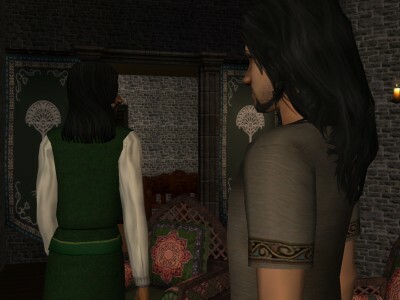 Alred needs to focus on something else besides his unrequited love for Lilli, she chose Egelric for a reason. I know their stations in life are quite different but maybe Mouse and Alred could make a match. You can add my popular demand ! I wish I could see old Alred back ! Wow. I wouldn't be a bit surprised, with the way Alred is acting, if he murdered Egelric just so he could have Lili for himself. The man needs a woman so he can move on from his weird obsession with her! And poor Lili! What's he going to do next? Tell her Egelric is still in love with Gunnilda? Lothere, find a woman for Alred so he'll stop being so bitter. I want the old Alred back. I don't think we will ever see the old Alred back -- without Matilda, it isn't Alred any more. 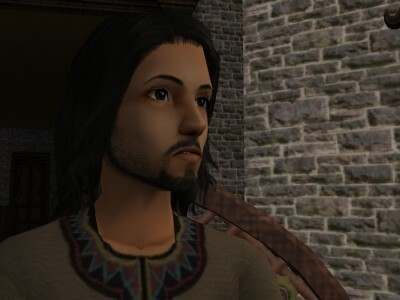 But Alred will eventually move on from this particular form of bitterness. I actually like "old, funny Alred" as much than "new, bitter Alred". He's something unique. There's no one like Alred, and whatever he does, it just makes me purr. >D And - progression of characters - it's only awesome. It makes story so living. Of course, things aren't so grayscale. I also like characters, who doesn't change. At least very much. His bitterness is painful to watch. But that part of him was always there, just underneath the surface. Like Egelric, he has real demons.